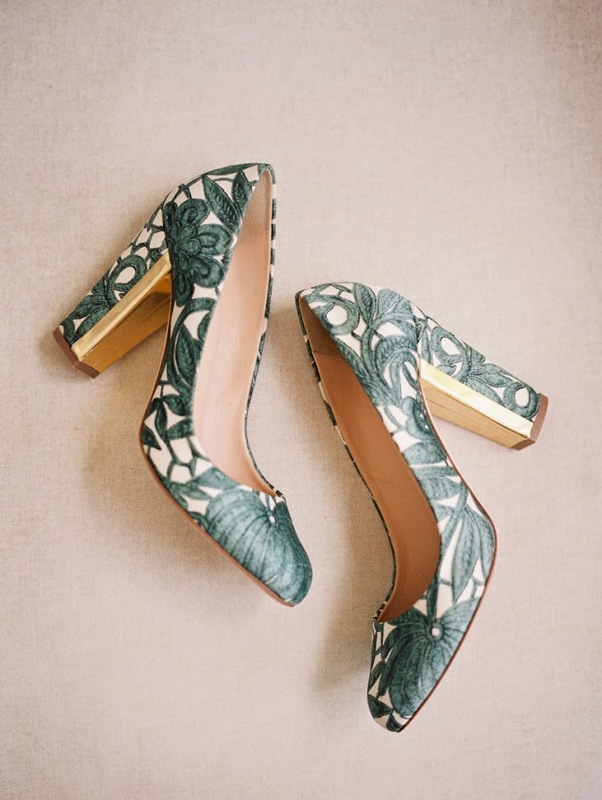 I absolutely adore these elegantly printed pumps with their standout metal heel–isn't that a fabulous detail? Image by Laura Nelson Photography, "Blakely" J.Crew printed pumps. The metallic heel is such a fun touch! OMG, I could totally see these with a lace wedding dress. Am I crazy? Pretty! Fantastic! And I second seeing these with a lace wedding dress - yes, yes, yes!